Our Logo – Introducing our cute Queen Bee! She sits inside a Koru shaped swirl that highlights the New Zealand feature of our range. 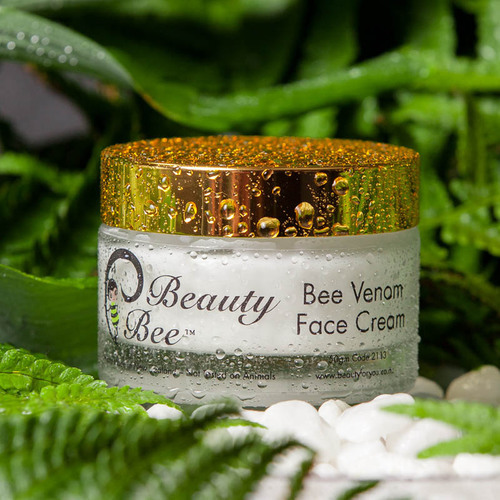 The Koru is also a symbol of new life which is appropriate as this is a new and emerging product range and when you use Natural by Dezine® Beauty Bee® products you will achieve a new and emerging beautiful skin! What makes our products superior? Compare the ingredients! 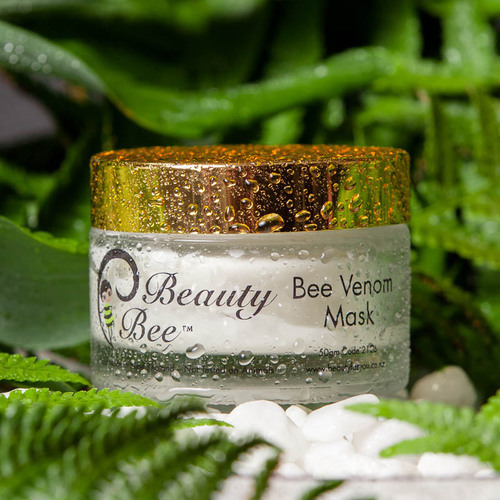 Our Beauty Bee® Face Mask includes 0.18% active Bee Venom and Beauty Bee® Face Cream includes 0.8% active Bee Venom to ensure great results! Open the jar and your senses will be delighted with the delicate fragrance of Manuka Honey and a hint of orange and lemon. You will love the fragrance, texture and amazing results of this product designed by hand using unique ingredients for maximum results. Check out the ingredients benefits in my Key Ingredients page.